The Seventeenth Judicial District Commission on Judicial Performance unanimously recommends that Judge Amy Elizabeth Bockman BE RETAINED. Judge Bockman, a Broomfield County Court Judge in the Seventeenth Judicial District, was appointed to the County Court bench in 2006. Prior to her appointment, she was engaged in the practice of law in the Colorado State Public Defender’s Office for 9 years. Judge Bockman also served as an appointed Magistrate in Denver County for 2 years. She graduated in 1991 from the University of Colorado with a Bachelor of Arts in Political Science and Communications, and obtained her Juris Doctor in 1995 from the University of Denver College of Law. Judge Bockman’s case load presently consists of 80% criminal and 20% civil. The Commission believes that Judge Bockman shares her expertise of the law both in and out of the courtroom. She keeps up to date on Supreme Court rulings and applies those rulings where applicable. She has a high regard for her position and high expectations of all that enter her courtroom. She answers their questions and educates them on courtroom procedure. Judge Bockman is appreciative of the duties of the juries that sit for trials and always talks to them to thank them for their service. 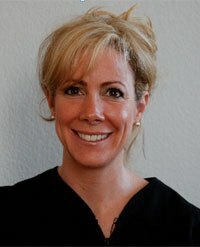 Judge Bockman may seem harsh to the unprepared but she does not ask of others what she does not expect of herself, as each person that enters her courtroom deserves professionalism, preparedness, courtesy, and knowledgeable representation. Based on its review of returned surveys, review of several of Judge Bockman’s decisions, courtroom observations, and interview of Judge Bockman, the Commission unanimously recommends that Judge Amy Elizabeth Bockman BE RETAINED.